Student Submissions Needed for Duluth Cluster STEM/STEAM Expo on May 3! 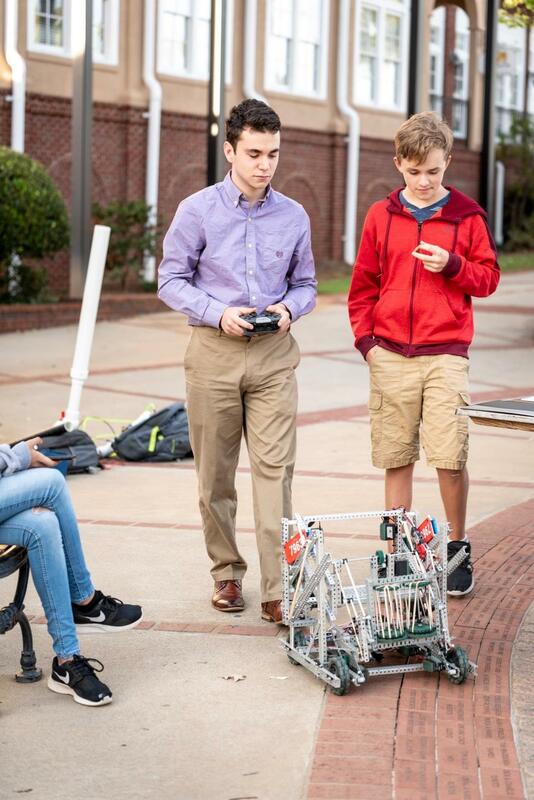 The first annual Duluth Cluster STEM/STEAM Expo will be held on Friday, May 3, 2019. This event will showcase student projects in STEM and/or STEAM from each of the seven cluster schools. The Expo will be held at Coleman Middle School and Duluth High School from 5:00-7:00 PM. Students may submit science fair projects, PBL presentations, protoypes, inventions, art work, theatrical and musical performances from this school year - anything that is STEM or STEAM related that they would like to exhibit to the Duluth community. 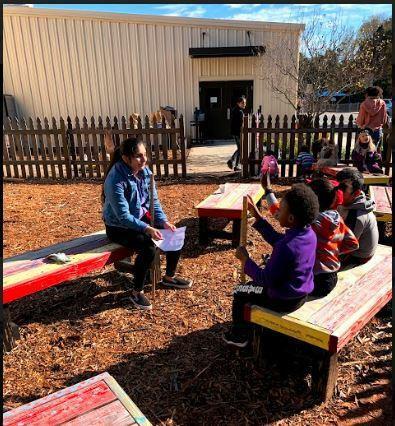 Please contact Sheila Harmony, STEAM Coordinator, at Coleman Middle School through email at Sheila_Harmony@gwinnett.k12.ga.us or via phone at (678) 407-7405. Once registered, you will receive further information via email in April. What? Join all of the elementary, middle, and high schools in the Duluth cluster as they present their projects and achievements throughout the year in addition to tables from various STEAM related businesses and professionals from the Duluth area for a night of fun and exhibition in the areas of Science, Technology, Engineering, Arts, and Math. When? Fall 2018. 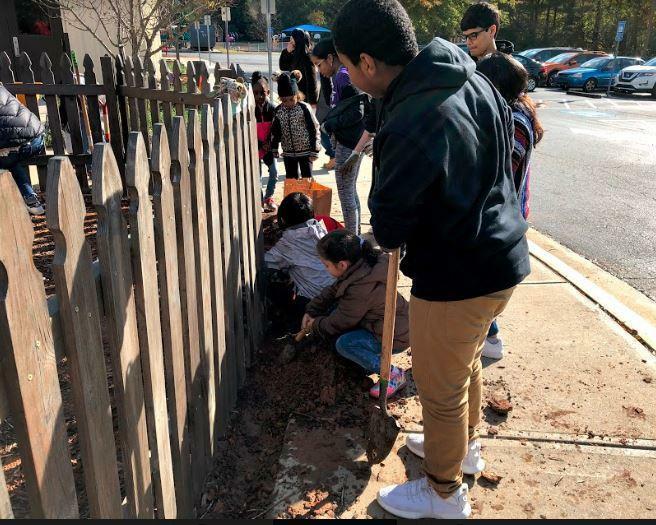 Field trip on Friday, November 16, 2018. What? DREAMS students from Duluth High School completed a project-based unit focused on identifying chloroplast and how it is used in photosynthesis. By the end of the unit, DREAMS students were able to describe the mitochondria and how it is used in cellular respiration. Students then created a business proposal as a landscape architect which detailed a design and request funding for project. DREAMS students presented their proposals to a panel of teachers, administrators, and agricultural specialists. A few of the student proposals were then used to help beautify the Duluth High School campus. 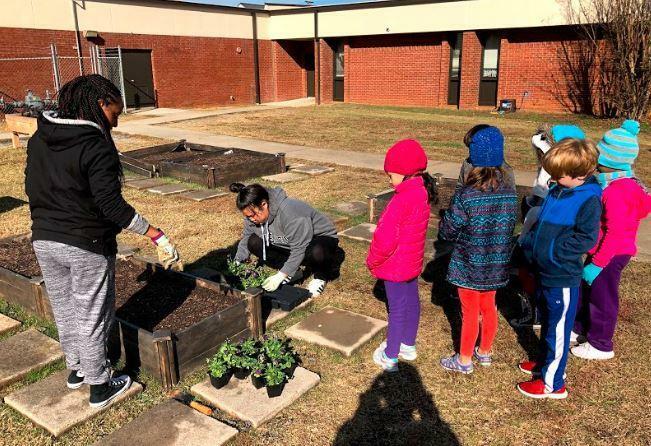 Using the knowledge gleaned from this unit, DREAMS students then took a field trip to Chattahoochee Elementary School to help the elementary students with their own PBL campus beautification project. Click here for additional pictures. What? STEAM was joined by the Duluth Fine Arts League Art Walk for a night of Science, Technology, Engineering, Art & Math. 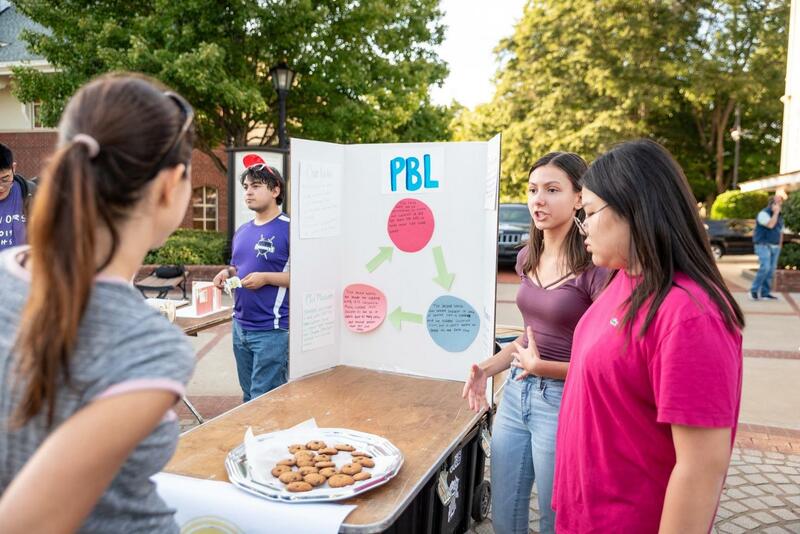 Students from the Duluth school cluster showcased their project-based learning projects. 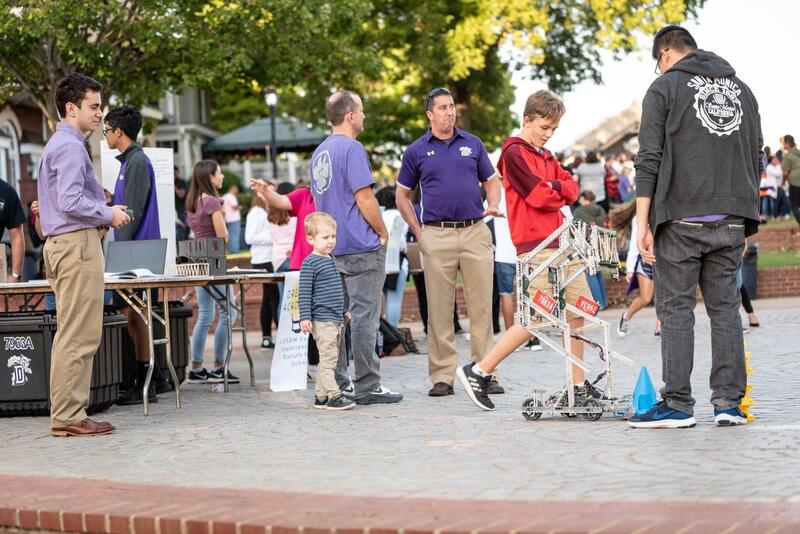 Students showed off their real-world applications, investigations, and more. 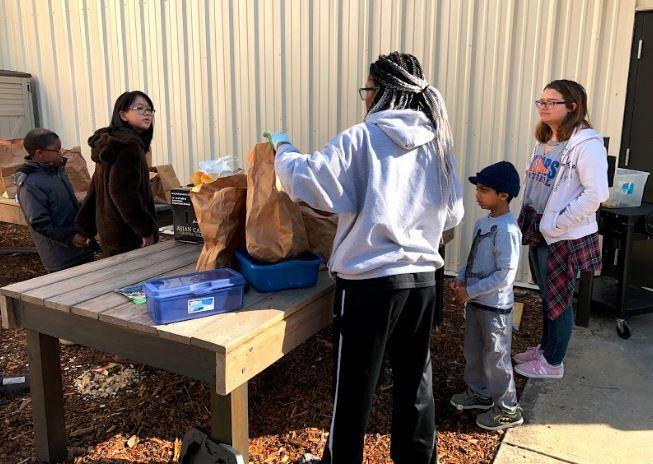 Click here for the story and pictures from the Gwinnett Daily Post. Nationally Recognized KIDS 4 CODING enters its sixth summer season in the Atlanta area, with programs in Roswell, Alpharetta, Lawrenceville, and our newest location, Peachtree Corners! We are excited to join the team at Prototype Prime, a technology incubator affiliated with Georgia Tech’s Advanced Technology Development Center. Since 2012, over 8,000 KIDS 4 CODING alumni have attended our summer and academic school year programs. KIDS 4 CODING is an affordable option for families who are seeking quality, academic summer activities for their children. Highly interactive and multidisciplinary modules – new every summer – are developed by KIDS 4 CODING in collaboration with teachers and industry professionals to lead campers through fun, age-appropriate projects and challenges that develop skills in game creation and modification, programming techniques, robotics, and other computer science and engineering areas. Weekly programs are supervised by GA certified teachers* and taught by experienced instructors who are passionate about technology. Students enhance their logical thinking, problem-solving, mathematics application and creative abilities in a collaborative, entertaining format. We are the only program requiring site managers to be certified teachers to oversee all aspects of the day-to-day operations of supervising instruction & safety. Careers​—They'll meet female engineers and role models and get an inside look at technical roles in the world’s top companies, like Twitter, Amazon, and AT&T. Skills and Impact​—They’ll learn to code through real-world projects in art and storytelling, robotics, video games, websites, apps, and more—plus, they’ll create a final project that solves a real-world problem they care about! Sisterhood​—They’ll learn in a supportive, girls-only environment and make lifelong friendships! Founders, young entrepreneurs with established ventures or vetted ideas, come to the Incubator to build a team for their idea and get access to our incredible advisor and resource network. Free Agents, young people with entrepreneurial potential, join a Founders team and help grow that business over the summer. The Incubator meets in Chicago, Silicon Valley, and New York City over the course of the summer - you get to travel to each one. While most of your time is spent working on the business, we do find moments to enjoy these incredible cities. Entrepreneurs and Advisors in each city to help guide you and give you a flavor for their varied startup cultures. Spending 6 weeks building a business, working with advisors, acquiring customers, and learning the in's and out's of a startup is the best way to jumpstart your entrepreneurial journey and see if you have what it takes. You will learn the QØ 5-step process for building a startup from the ground & you'll build an invaluable network that will last a life time. This is the best preparation if you want to start your own company some day. Click here to apply. The Santa Barbara QØ Startup Camp offers you real-life startup scenarios mixed with sun-baked local activities such as surfing, kayaking, and rock climbing. We’ve partnered with the University of California, Santa Barbara to give you the ultimate entrepreneurial education on the beach. At QØ Startup Camp NYC, you’ll experience our hands-on approach to entrepreneurship in one of the world’s most iconic cities. Gain first-hand knowledge of developing new ideas with a team of like-minded entrepreneurs while also taking time to see and experience the best that New York City has to offer. If you love camping and outdoor adventures, then this is the QØ Startup Camp for you. You’ll start each day with an exciting outdoor activity, such as whitewater rafting or mountain hiking, then dive into our entrepreneurship masterclasses where you’ll work alongside other adventure-seeking entrepreneurs from across the globe. Click here to apply.